In 1838 the Wollongong parish was established, with Fr.John Rigney appointed to lead the parish which originally extended to Moruya. In 1840 a Catholic school was established at Charcoal Creek (former name for Unanderra) under J. Stapleton. It was also used at times as a Mass centre and remained in use as a school until 1881. 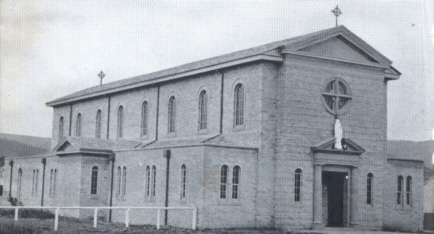 St. Clement’s Church, Mount Kembla was opened for use on 7th January 1894 and remained in use until December 1976, with a final Mass on 22 March 1981. During the 1940s Mass was celebrated in private homes in Unanderra and later in the shire hall, now the community hall. 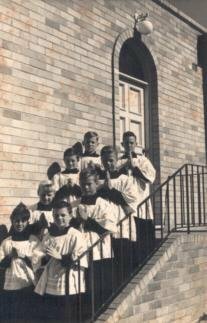 When a second priest arrived in Port Kembla in March 1940, the districts of Unanderra and Mount Kembla were transferred from Wollongong Parish to Port Kembla. Some years later they were again taken over by Wollongong. 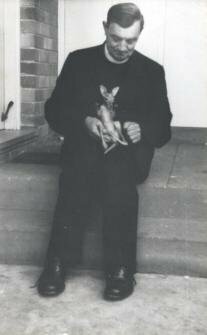 The first Bishop of Wollongong, Bishop Thomas McCabe arrived on 24th February 1952. The Parish of Unanderra was established on 16th November 1952. The first parish priest was Fr. Tarcisius Prevedello who was assisted by Brother John Setti. They belonged to the Scalabrinian Missionaries which at that time was known as the Pious Society of Saint Charles. On the 21st November, 1954, the beautiful Parish Church of the Immaculate Conception was blessed and opened by Bishop McCabe. 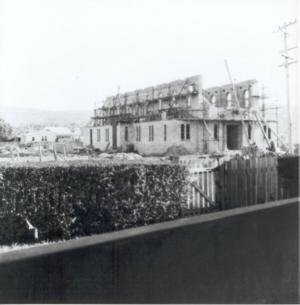 The architects were Hirst and Kennedy of Wollongong. 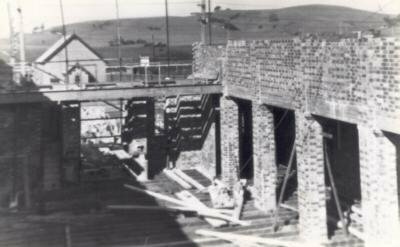 The Scalabrinian Order provided £15, 000 for the building of the church. 2nd February, 1960 – Saint Pius X School was opened. The Good Samaritan Sisters provided the principal until 1975, and the Sisters of St. Joseph provided the principal from 1975 to 1980. 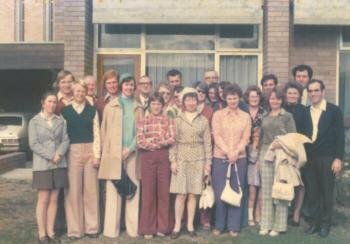 26th June 1977 marked the end of the Scalabrinian Period in the parish with the departure of Fr. Victor Basso. Father Leo Stevens appointed first diocesan priest on 1st July 1977. Fr. 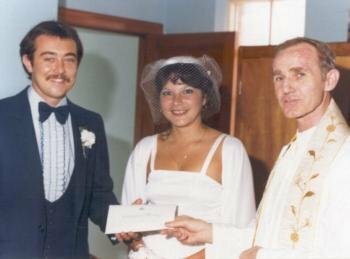 Graham Schmitzer became parish priest on the 2nd of November, 1990. Fr. Eugene Weber, Fr. Richard Hazlitt, Fr. Peter Comensoli, and Fr. Joe Gillis assisted in the parish during the time of Fr. Schmitzer. Fr. Mark O'Keefe became parish priest on the 13th of June, 1997. 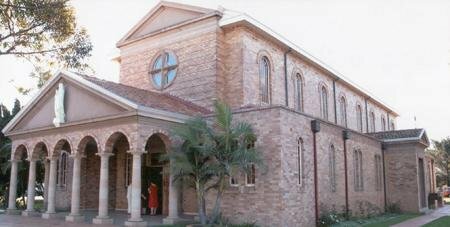 The parish church was solemnly dedicated by Bishop William Murray on the 14th of November, 1992, and on the 25th of March, 1993 was declared the diocesan shrine to Our Lady. 21st December 1997 extensions to the church including two new confessionals and the portico were blessed by Bishop Philip Wilson. The parish observed its golden jubilee of establishment in November and December, 2002. The 50th anniversary of the opening of Immaculate Conception Church was observed on 21st November 2004 with Bishop Peter Ingham leading a celebration of Mass with Solemn Evening Prayer, followed by a parish dinner in Saint Pius X Hall, Unanderra. Copyright © 2019 Immaculate Conception Church, Unanderra. All Rights Reserved.